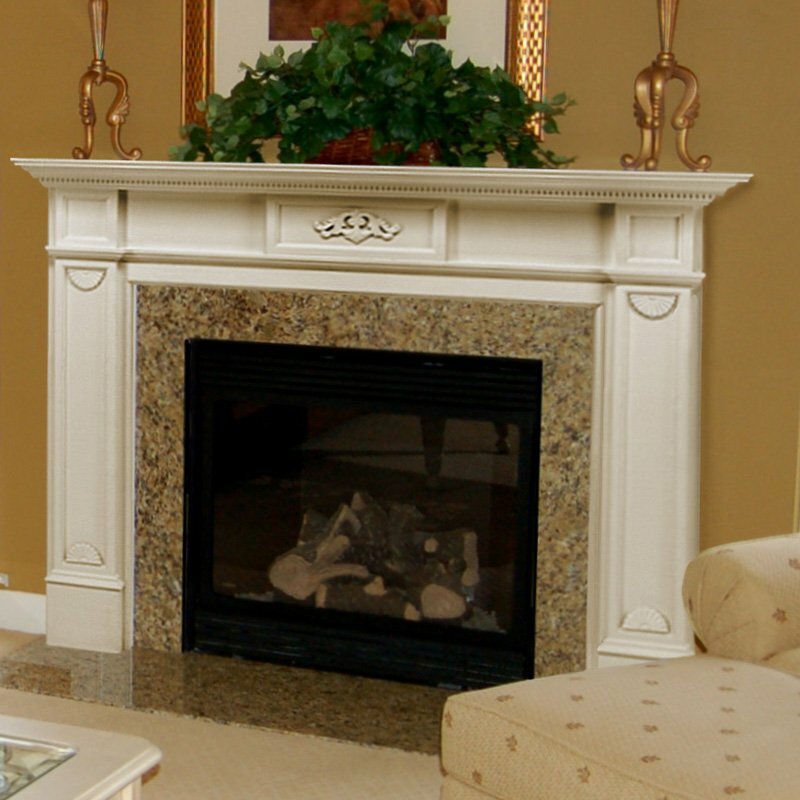 The Monticello Fireplace Mantel Surround is a perfect addition to any home and hearth. It is constructed of a durable MDF wood and is unfinished. 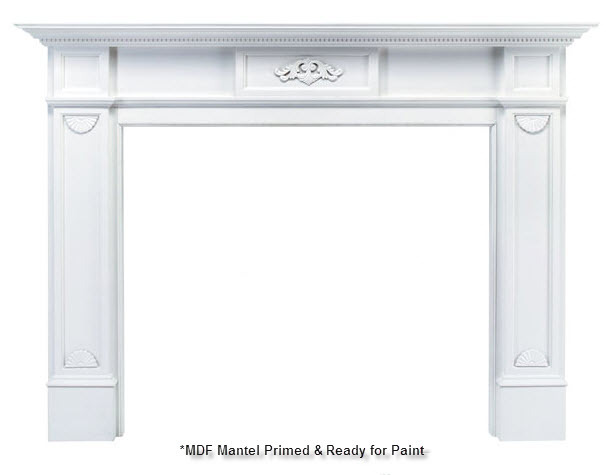 This mantel comes primed ready for paint meaning you can paint it any color you wish to provide the best match for the interior decor of your home. It is easy to install, and easy to set up, the shelf on the top of the fireplace mantel allows for the display of family portraits, vases, and or anything else that you would like to put on display. 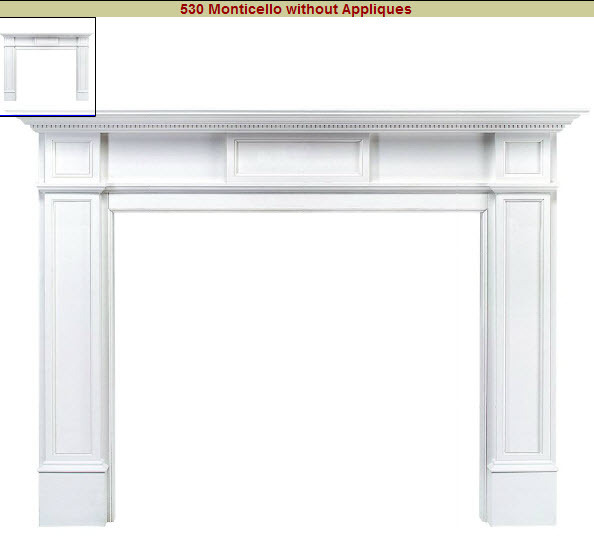 The Monticello Fireplace Mantel 48" 56"